It’s just a slim black cylinder, but — oh, the things the Amazon Echo can do! I own one and love it! 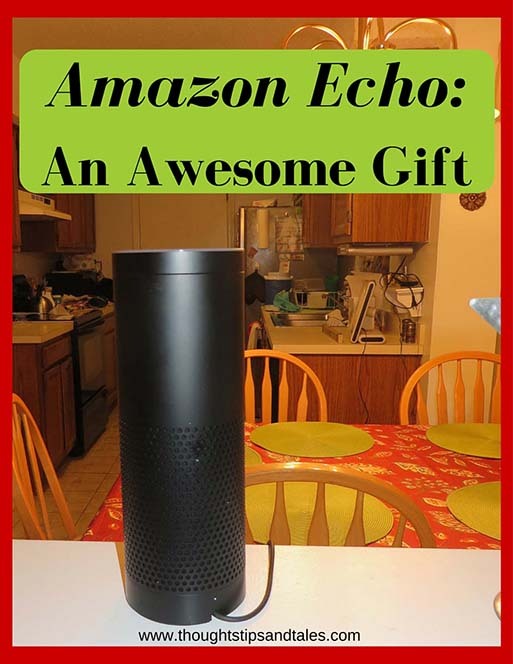 The Echo is a very cool gift for anyone – from grammar schooler to nonagenarian. It’s fun — and functional — for everyone, and makes a great family gift. The Echo would also be perfect for someone recovering from an illness or a person with mobility issues. Even Oprah, one of the wealthiest women in the world, included the Echo on her 2015 Oprah’s Favorite Things list. And new features are being added all the time! Check it out. This entry was posted in amazon echo, Christmas gift, Christmas present, gift, gift for parents, gift that people love, gift-giving, gifts and tagged amazon echo, amazon echo is a great gift, awesome gift, best present, Christmas gift, Christmas gift idea, Christmas present. Bookmark the permalink. I was so tempted to get one – then I read reviews that weren’t so good. I guess I’ll have to rethink that now! Sounds like fun.